After an epic and well documented 45-year career that launched an era of rock n roll legends, KISS announced that they will launch their final tour ever in 2019, appropriately named END OF THE ROAD. The initial announcement was made a month ago on NBC’s America’s Got Talent which sent the internet into overdrive with fans hoping their city and country would get one final KISS show. The band announced today the first set of dates and cities in North America, as well as international markets being announced simultaneously. Tickets go on sale on 02 November at 10am at LiveNation.co.uk. U.K. tour itinerary detailed below. KISS will be offering VIP experiences and special KISS Army fan presales. Visit www.kissonline.com for more information. Known for their trademark larger-than-life blistering performances, KISS has proven for decades why they are hands down the most iconic live show in rock n roll. 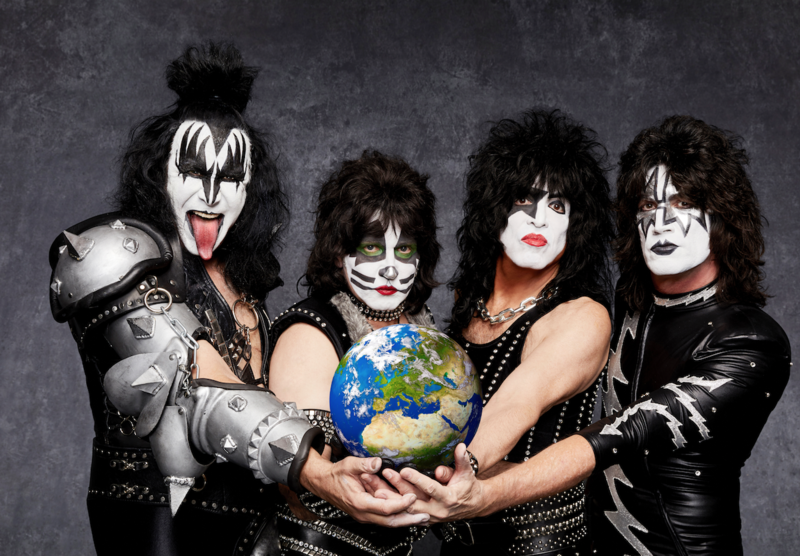 The Rock & Roll Hall of Famers, who have sold more than 100 million albums worldwide, have said this tour is devoted to the millions of KISS Army fans. The band embark on a North American tour throughout January, February, March and April 2019, before coming to Europe. Tickets go on sale on 02 November at 10am at LiveNation.co.uk.